PM 7:30pm - Depart from your hotel in Hanoi by private car/van to Ha Noi Railway Station to catch the night train (soft sleeper 4 berth sharing cabin with air conditioning) to Lao Cai. 5.00am - Arrive in Lao Cai. Get to the exit of the train station where you can find your name sign held by Sapa Pathfinder guide. The bus ride uphill to Sa Pa takes a little over an hour, giving you a glimpse of the stunning vistas and impressive rice terraces. After breakfast, gear up for your exciting ride. Your ride will be mostly downhill through the suburb of Sapa. You pass by Sapa town to ride along the smoothly road for 3 km, then get off the main road to head to Ma Tra village where is the home of the H'Mong people with scenic landscape of the mountain, rice terrace, corn field and pine hill before heading downhill to Ta Phin. 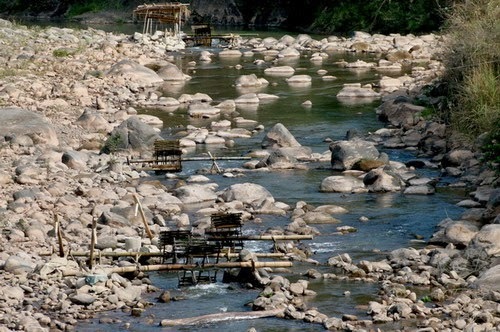 In Ta Phin, you will witness the daily life of the Red Dao and Black Hmong minorities. You will also have time to take a short walk around the village. Having lunch in the local family. In the afternoon, Keep riding up hill then down hill through the forest to Takko pass. 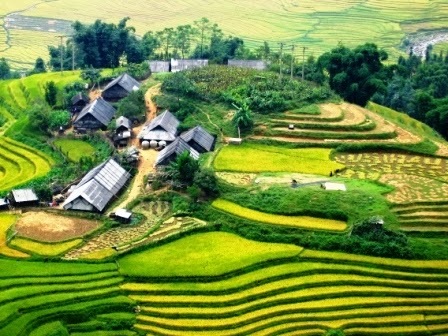 From here you will get transferred to Sapa to have shower, have dinner then transfer to Lao Cai train station. The train will arrive in Hanoi around 4h30 am. End of trip.